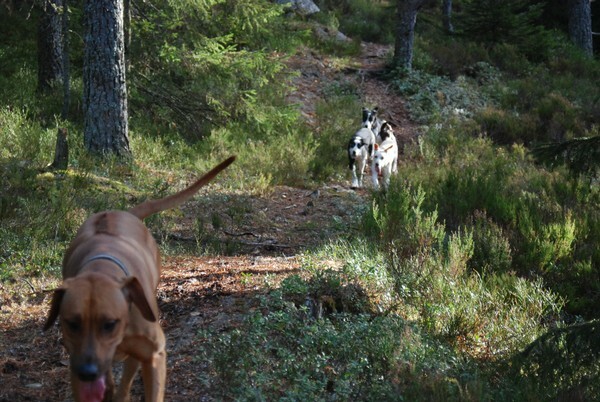 Since Bj�rn has to work on Saturday, he got the day off on Friday, so while Su was in the kindergarten, we thought we'd train the dogs in daylight - both of us! 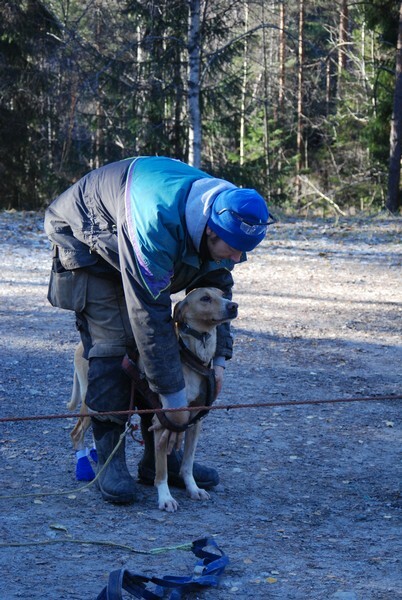 Rino is a very sweet guy, and he is very optimistic - always hoping it's his turn! 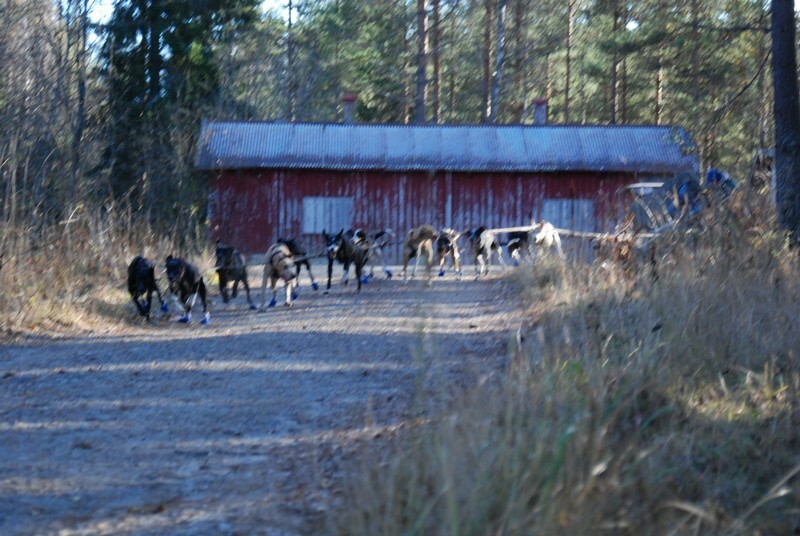 It was very cold today, so with temperatures below zero (Celsius) and the gravel freezing into razor sharp material, almost all of the dogs got socks on their feet. 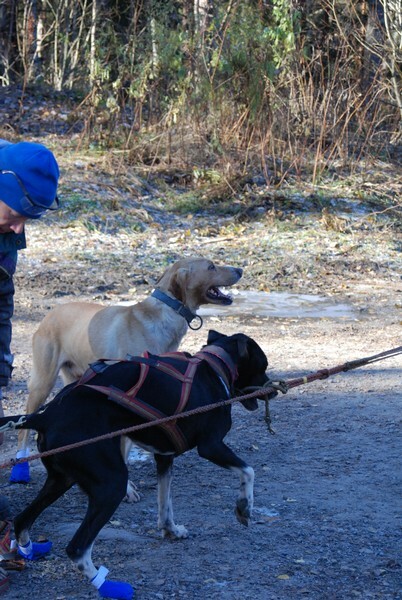 But as you can see to the right in this photo, Bj�rn tried a new tactic this time; How to start your dogs while you're running beside the cart.. 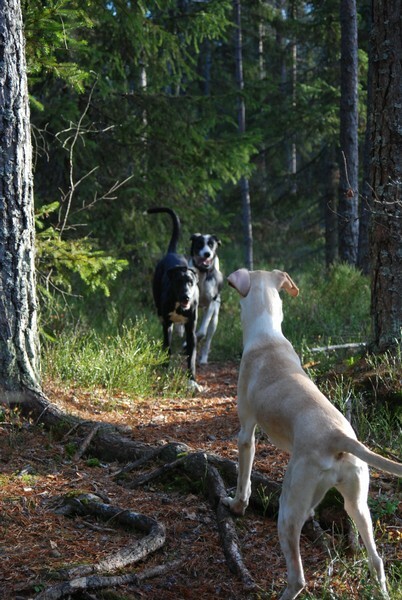 So he actually just crushed my bike, and got himself under the cart for a while, until my bike acted as a large brakepad underneath the cart and everything stopped, at the lower left corner in this photo.. Luckily, no damage to any dog and the driver only got a large bruise and a lump on his thigh - which almost can remind one of a muscle! 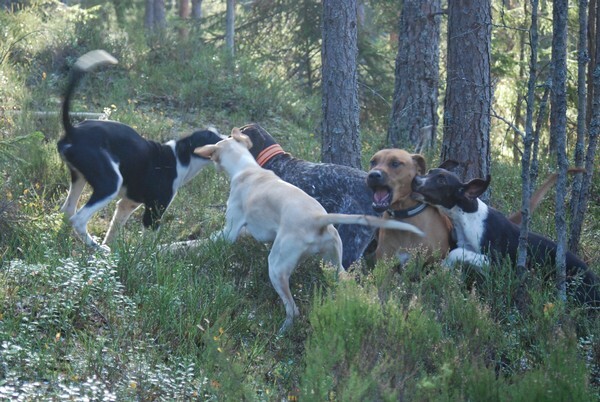 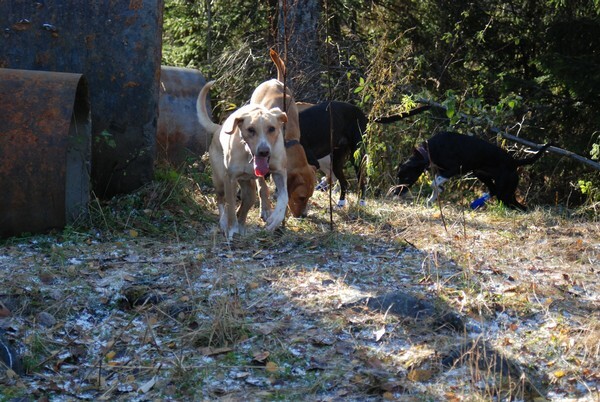 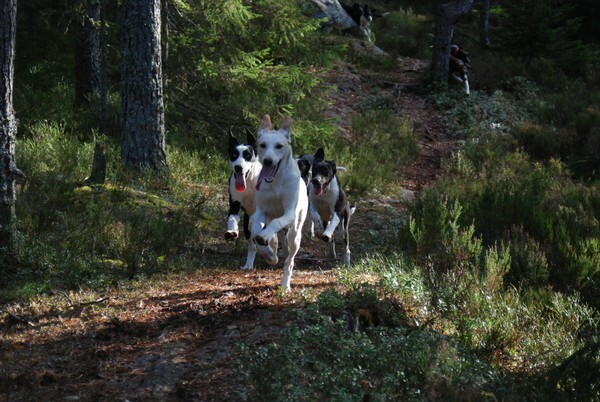 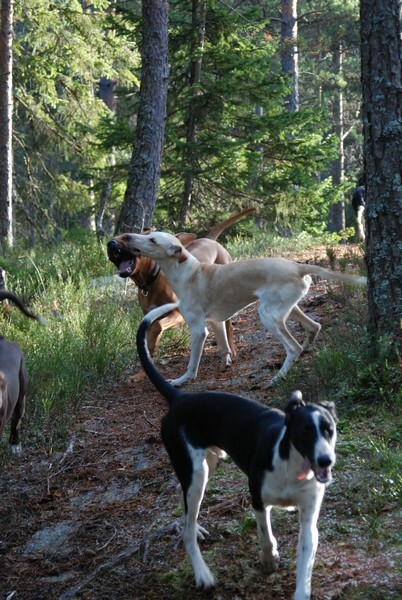 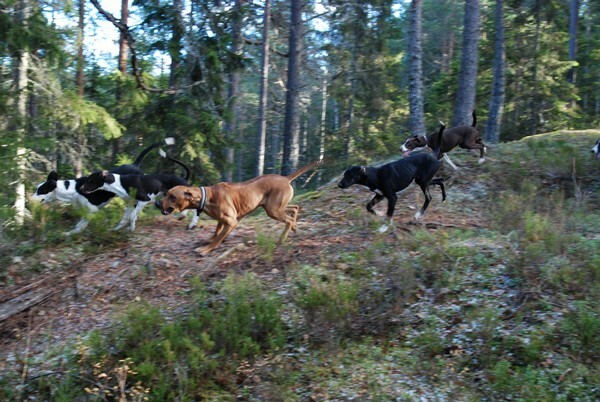 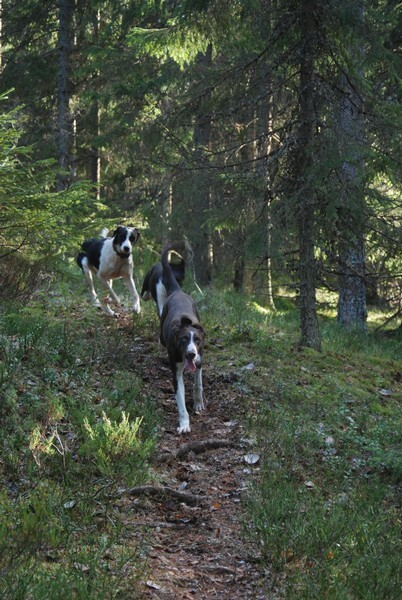 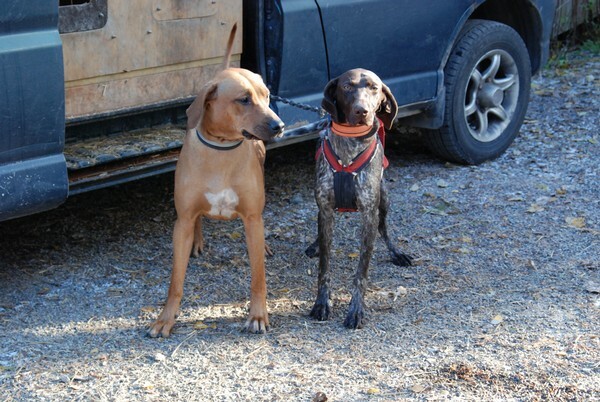 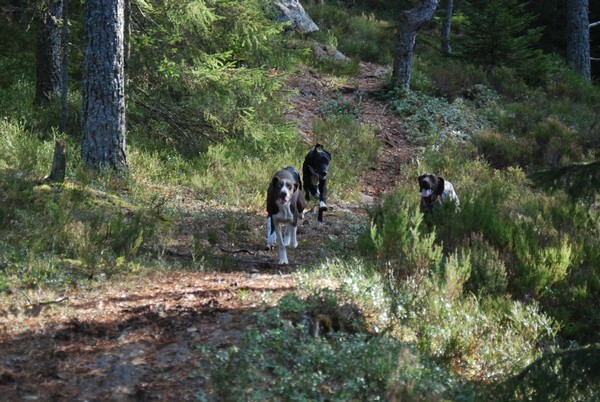 We took the puppies, their mother Dawn, Cheetah, Zo� and BB out for a walk afterwards.